Zetsu is always hide himselves, his ability make him become a good spy. He always interest to watch two person which are fighting. Zetsu is one of Akatsuki member. This is cool wallpaper of Zetsu. 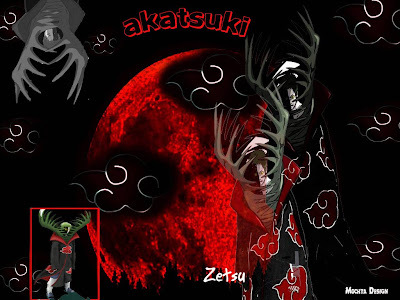 Get this Zetsu Akatsuki Profile Wallpaper by clicking on image.